I haven't had much to report on lately, but I did save up a few random news items, some good, some bad. 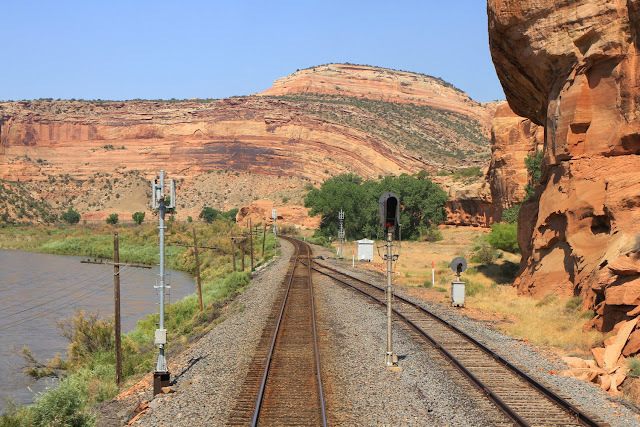 On the good side of things I finally discovered why the former DRG&W route has not seen its new signaling cut over between Helper, UT and Grand Junction, CO since it I first spotted it in 2012. Well, Union Pacific has decided not to PTC equip the line due to low traffic volumes, so that's cool. The former ATSF transcon in Illinois is seeing increasing amounts of re-signaling so if you live in the area get out soon to document the searchlights and signal bridges. While no stranger to re-signaling efforts, the last searchlight signals on the freight level of Blue Island Jct are now on tap for replacement. 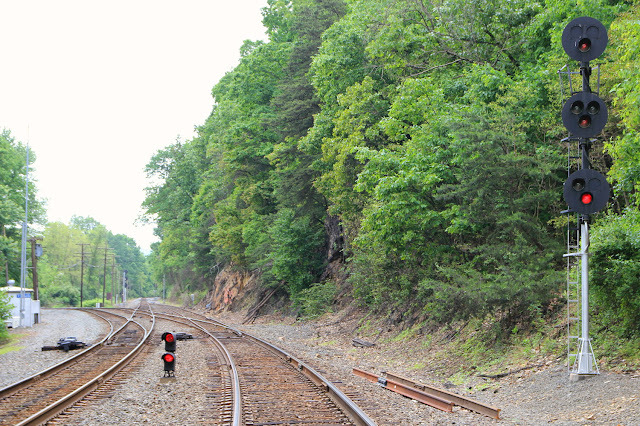 I had also reported on the NS Harrisburg Line re-signaling between Philadelphia and Reading. At first glance it appears that CP-TITUS, at the junction of the old southern Belt Line and the Main Line into downtown, was going to be spared, but as I have learned many times before, looks can be deceiving and the new double crossover between here and CP-BIRD will replace CP-TITUS in its function as a junction. Ultimately that is all CP-TITUS is, a double crossover, just with a lot more complexity and it's otherwise isolated location, accessible only through the locked gate of a private power facility, made NS relocate the track split a mile to the east. CP-TITUS also is home to a movable point frog, another rare thing these days!